ethyl-p-methoxy cinnamate (16.5%), pentade-cane (9%), 1, 8 cineole (5.7%). The Hydacheim plant from which the oil is extracted grows to up to 3 feet with leaves 16 inches long by 4 inches wide. There are flower spikes in the plant that have individual flowers that are yellow with reddisstamens. 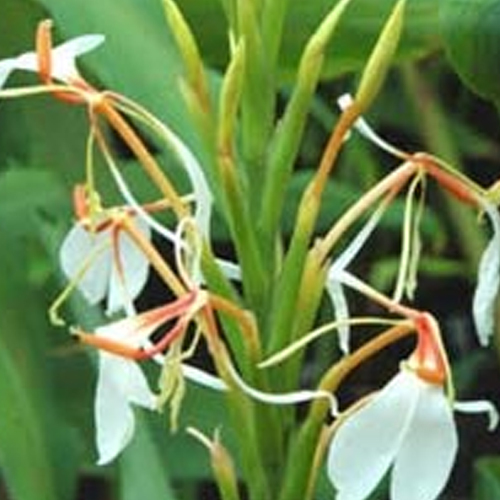 It is also known as spiked ginger lily. This oil is a pale yellow to amber colored liquid. It has a woody, spicy and rooty aroma. We have reputed shipping partners like DHL, Fedex, UPS, TNT, and EMS through which we ship the stock by means of air as well as sea.